I am often asked as a Buffalo DWI Lawyer as to New York State’s DWI Plea Policies. Every county has a different plea policy on DWIs, and most of the time an offender with a BAC of .13 or lower when there was no accident involved, you could have your charges reduced to a non driving while impaired charge. I advise clients that if you have prior driving while impaired convictions or an accident, most district attorneys will not offer a plea and you will sent to trial. 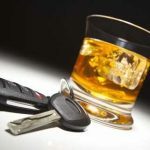 If you have been charged with driving while impaired with alcohol or any other DWI offense, contact Attorney Arthur Pressman for dedicated representation.